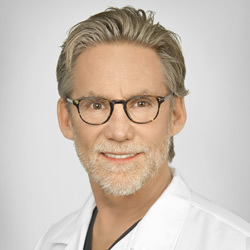 Michael Calvin completed his physician assistant training at the University of Colorado Health Sciences Center in 1991. He obtained his Master of Physician Assistant Studies from the University of Nebraska Medical Center in 2001. He specialized in allergy, asthma, and immunology as both clinician and sub-investigator in clinical research for almost twenty years. In 1993 he was a founding Board Member of The Breathe Better Foundation, the not-for-profit division of Colorado Allergy & Asthma Centers, P.C., which was nationally recognized for Patient Care and Innovation by Mother's of Asthmatics (MA) and the Asthma and Allergy Foundation of America. He is a past President of the American Academy of Physician Assistants in Allergy, Asthma, and Immunology and was a Web Editor for the American Academy of Allergy, Asthma, and Immunology and Vice Chair of the Public Education Committee. He served as Assistant Professor in the School of Health Professions at the University of North Texas Health Science Center before returning to clinical practice. Request an appointment with this provider! More articles from this author will be posted soon. Click here to visit our blog page.